Hydronic towel warmers are a great way to take advantage of your existing hot water heating system while adding luxury to your home. Imagine a hot towel ready for you after every shower and bath, just asking to embrace you with soft, cozy warmth. Use this hot water towel warmer buying guide to learn about your options and help you find the perfect towel warmer. With a wide array of styles to choose from, hydronic towel warmers are designed with your comfort in mind. While our online catalog already boasts the 15 most popular finish and color options, some models can be special ordered in over 100 additional colors if you’re in search of that perfect match. 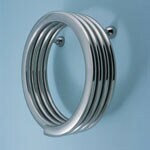 If you’re looking for the pinnacle of style, we also offer designer hydronic towel warmers. These towel warmers command attention, functioning as a piece of art to admire while you bask in the warmth of your towel. To better control the flow of water to your hydronic towel warmer, consider using one or both of the valve types discussed below. 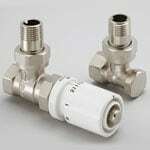 The most basic valves you should add to your hydronic towel warmer are isolating valves. Isolating valves allow you to shut off the flow of water from your boiler to your towel warmer when maintenance is needed. Without two isolating valves (one for each end of the towel warmer piping), any repair that’s necessary can become rather difficult. They also allow you to turn your towel warmer off when you’re not using it, saving some energy along the way. 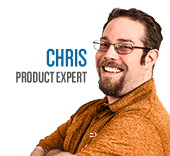 By default, your towel warmer will give off a standard amount of heat determined by the boiler. Thermostatic valves allow you to adjust the output of the towel warmer based on your comfort level. This is especially important if you hope to use the towel warmer as the main source of heat for your bathroom, too. You'll only need one thermostatic valve per towel warmer, and since they can also shut off the flow of water, you can simply pair it with a single isolating valve for full water-flow control. 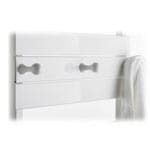 Some hydronic towel warmer brands offer accessories for additional drying space or alternative hanging styles. Perfect for hand towels, rings can ensure your smaller linens don’t fall to the ground when you’re not looking. Use knobs for hanging larger items, such as robes or coats, or just even just as accents for some added texture. Need more space than your towel warmer provides or your wall allows? Use an expanding drying rack to add additional hanging bars without having to expand vertically or horizontally. 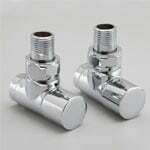 When choosing a size and mounting location, consider both the material of the wall and your access to piping. Mounting the unit into studs is recommended as some towel warmers can weigh up to 100 lbs, especially after adding heavy wet towels. Based on the space you have available, use the table below to find the right towel warmer for you. If you don't see what you're looking for, try moving one size larger (if you have space) or smaller. 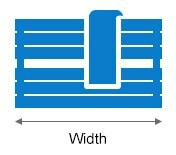 Select Height25 - 30" 30 - 35" 40 - 45" 45 - 50" 50 - 55" 55 - 60" 60 - 65" 65 - 70"
Select Width15 - 20" 20 - 25" 25 - 30" 35 - 40"
If you're still not sure what size hydronic towel warmer you want, you can view all of them by clicking the link below. If you elect to go this route, make sure you size your towel warmer based on the BTU it can provide your space. 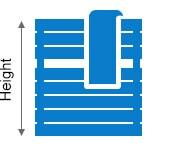 To find out how many BTU/Hr you need to effectively heat your room, use our space-heating sizing tool below. Hydronic Towel Warmer Buying Guide - How to Pick the Perfect Hot Water Towel Warmer. Our heating, ventilation and cooling equipment how-to library can help you pick the perfect comfort solution for your home.